Oxycodone withdrawal can be excruciating, and most people who try to detox on their own will go right back to using if only to end withdrawal. Successfully detoxing from oxycodone requires professional help, and White Sands Tampa can ensure a safe, comfortable detox experience for oxycodone and other opiates. Oxycodone withdrawal is the result of dependence on oxycodone, which occurs when your brain function changes to compensate for the frequent presence of oxycodone in your system. 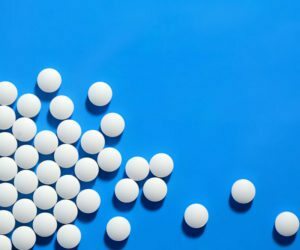 Oxycodone produces a high level of tolerance very quickly, which means that you need increasingly larger doses of the drug to get the desired effects. This is an important sign that you’re on your way to becoming independent on oxycodone. At some point, brain function may shift so that your brain now operates more comfortably when oxycodone is in your system than when it’s not. This is known as dependence. When you stop using oxycodone once you’ve developed a dependence, normal brain function will begin to rebound, and this will cause the onset of oxycodone withdrawal symptoms. Here are four important facts you need to know about oxycodone withdrawal. 1. Oxycodone withdrawal symptoms can be excruciating, but they’re probably not dangerous. Although it’s not generally dangerous, oxycodone withdrawal can make you feel like you’re dying. It can be extremely difficult and distressing to detox from oxycodone without professional help. 2. Medication-assisted treatment for dependence is best, but medical detox is another option. Research shows that medication-assisted therapy, or MAT, is the most effective treatment for opiate dependence. Medication-assisted therapy involves taking a medication like methadone or buprenorphine every day to prevent oxycodone withdrawal altogether. One reason MAT is so effective is that it keeps intense cravings at bay for the long-term so that you can focus on addressing the underlying causes of the addiction and learning the skills you need to stay off oxycodone for good. Medical detox is another option for oxycodone withdrawal if you prefer not to engage in MAT. During medical detox, which is supervised by medical and mental health professionals, you’ll go through withdrawal, but medications will be given as needed to reduce the intensity of withdrawal symptoms and shorten the time it takes to detox. 3. MAT and detox are not the same as Oxycodone addiction treatment. Medication-assisted therapy and medical detox only treat the physical dependence on oxycodone. They do nothing to address the addiction, and they’re not effective for helping you stay off drugs. Learn to identify self-destructive thought and behavior patterns and replace them with healthier ways of thinking and behaving. Address the issues that underlie your addiction, which may include chronic stress, a history of trauma, or a co-occurring mental illness. Develop a toolkit of skills and strategies to cope with cravings, stress, and other triggers for relapse. Learn to have fun and enjoy life again without oxycodone. 4. Treatment works, and it can work for you. Most people who enter treatment and engage fully with their treatment plan will recover from addiction for the long-term. Treatment works to repair the damage the addiction has done to your life and restore your quality of life and wellbeing. White Sands can help you end your addiction to oxycodone for good and reclaim your life. Treatment helps many people live a happy, productive life free of drugs, and it can help you, too.